Flexible internal lining for HVAC ducts. 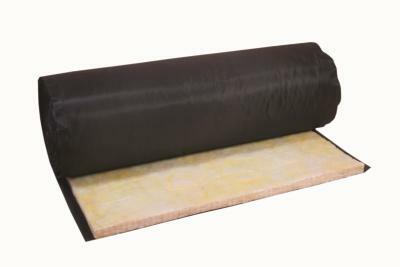 Sonic Liner is a flexible glass wool insulation blanket faced with an acoustically absorbtive black woven glass cloth on the air stream surface. A 35 mm overlap of the facing material is provided on both sides to enable effective sealing. It provides outstanding acoustical and thermal performance with low air friction. It is specially designed as an internal acoustical insulation liner for sheet metal ducts in heating, ventilation and air conditioning systems operating at temperatures of up to 120˚C and air velocities up to 20 m/s. Specially designed as an internal acoustic insulation liner for sheet metal ducts in heating, ventilation and air conditioning systems operating at temperatures of up to 120℃ and air velocities up to 20 m/s.